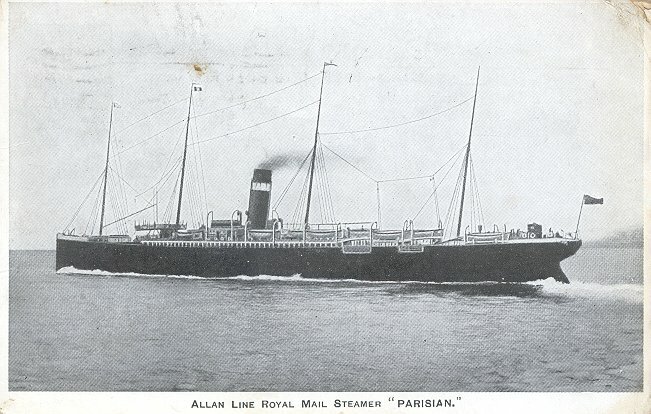 Parisian was built for the Allan Line by R. Napier & Sons, Glasgow. She was launched in November 1880, and made her maiden voyage, Liverpool-Halifax-Boston, on 10 March 1881. She remained in service through the end of 1898, serving Montréal, with a call at Québec, during the summer months, and Halifax or Saint John in winter. In 1899, Parisian underwent a major refitting at Workman, Clark & Co. of Belfast. Her compound engines were replaced by triple expansion ones, the yards were removed from her masts, and her funnels were reduced from two to one, as shown by the cards on this page. 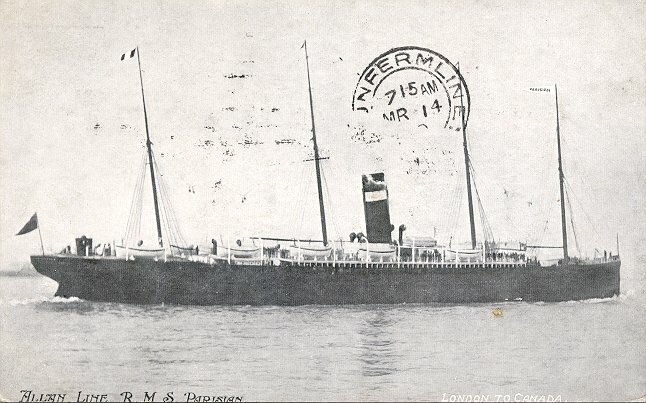 She returned to service in July 1899, and ran on the Liverpool-Canada service until March 1905. She then served at various times on the following routes: Glasgow-New York, Glasgow-Boston, and London-Canada. She made her final passenger sailing, from Glasgow to Boston in October-November 1913. 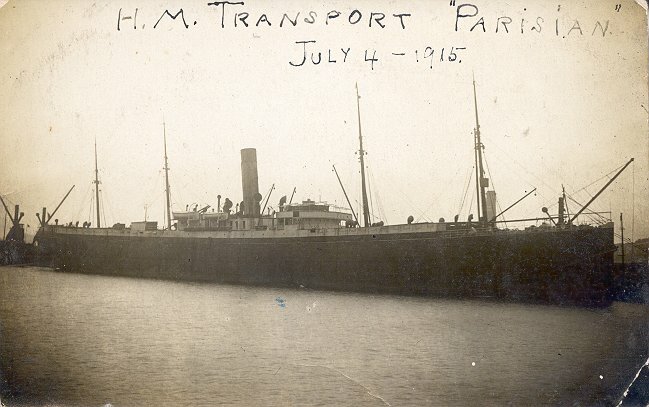 Parisian was sold for scrapping in Italy in January 1914. Sources: Bonsor's North Atlantic Seaway; Haws' Merchant Fleets in Profile.